An Ultimate Guide to Traveling with Preschoolers including tips for car games, travel toys, music, packing lists, and more! Goose and I are very excited to be taking our first long vacation since we’ve been married to visit my brother in the Carolinas next month. How far exactly is long? One way is about 18 hours on the road! That’s a loooooong time for anyone let alone preschoolers so being the planner that I am, I’ve already begun making plans to this the best experience for our nearly 2 and 4 year old. For preschoolers traveling a hour or two seems like a long time so traveling for 8 or 10 hours or even 18 hours for them is like an eternity. Therefore, even if you could potentially make a trip in record time if taken on your own or with another adult, consider frequent and active stops when traveling with preschoolers so that they can get out, run off some energy, and use the restroom. Besides, vacations should be fun so take some time to enjoy the trip! For us, we we have plans for several small destinations along the way by turning in our two day trip into a three day trip (one way). As such, we will be able to stop about every 4 hours to play on a special playground, visit a zoo, take a hike, eat at a fun restaurant or visit a children’s theater. That, combined with one restroom break in between will help to make the trip more enjoyable for them and hopefully us too since the girls will more likely sleep during the car. Speaking of frequent stops, when researching places to travel with preschoolers where you are headed, I highly recommend the Disney Family website as they provide recommendations for places all across the US based on parent reviews, and age appropriateness (babies, toddlers & Pre-K, School-Age, and Teens). And, they even provide you planning tips such as when is the best time to visit, the attraction hours and cost, and more. It was so nice to be able to look up a destination and easily discover whether or not the attraction we were considering would be appropriate as we are traveling with preschoolers. Now we know we will ALL be having fun on this trip. By the way, for the record, Disney Family did not pay me anything to say this; I just found the website to be the most helpful of all traveling information sites for our family and thought it worthy to pass along. While Peanut does not know exactly how to read maps yet, she can follow a line and follow numbers so I created a road map for her to follow in her travel notebook. One page of Peanut’s Road Map with numbers for Activity Bag Activities and Pictures for places we are going to visit. With so many fabulous resources out there for creating a kid-friendly travel notebook, there are printables galore available for kids of all ages to have their own travel notebook. 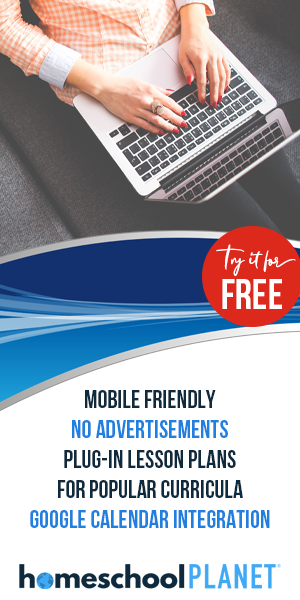 Take a look at my Traveling with Kids Pinterest Board and you will see, there is no end to free travel printables across the web. A Travel Notebook is just one way for the child to feel involved in the trip as well as create some fabulous alone and family time. Click the links below to print some of our favorite travel notebook printables found across the web. Mom’s Minivan Printables including Car Bingo, Dot Games, Tic Tac Toe Sheets, Battleship boards, Coloring Pages, and more. In addition I provided some blank paper at the back of the notebook for free drawing, tracing, extra paper games, or for playing Squiggles (a game where the child draws a squiggle on the paper and then another child or adult must turn the squiggle into animal). As far as organizing the notebook I highly recommend using sheet protectors and dry erase markers for repeated enjoyment and durability. And, if you’d like a free cover to go along with all those printables, feel free to use the ones I created for my girls which you can download by clicking the image below. I really liked Jen’s idea on Tator Tots and Jello to create some kind of countdown board for activities and/or snacks for the girls to begin to understand the distance of the trip and to keep from asking the “are we there yet?” question all the time. However, I knew that space between our backseat and from car seats are rather narrow so the shoe bag didn’t really work for us. What exactly might you want to consider including in your activity bags for preschoolers and tots? Well, here’s our list along with a few others to give you some ideas. Toys from the Dollar Tree–A few of our favorites include a glow ball, glowing slate, and a foam airplane puzzle. Flap Books–We really like Fisher-Price Little People books. Busy Bags–You can find lots of ideas for these. Some of my favorites can be found here and here). Download some free kindle books via your kindle fire or kindle app. You can find daily freebies for kids thanks to eReader Girl. And of course, you could also pull out the big guns like the iPods, iPads, DVDs, and so forth but our hope is that with so many other activities they will be able to enjoy the trip more the longer we can keep Peanut and Teacup from becoming zoned out by technology. After all, it’s vacation! Create a new playlist. Rent some new music from the local library. Burn a CD of sing-a-long favorites. Get some books-on-CD that would be appropriate for the whole family. There’s lots of choices out there for some new and fun listening. Our car has the convenience of a USB drive input so we created several playlists on there for all of us–country (for Goose), worship (for me), kids favorites, sing-a-long songs, and energy songs (for when we need a pick-me-up). 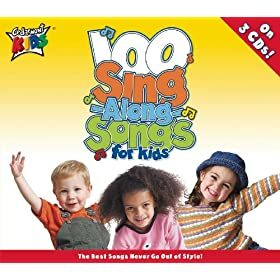 By the way, if you want a Sing-a-long CD already created for you, the music teacher in me highly recommend’s Cedarmont Kid’s 100 Sing-Along-Songs for Kids which has a great children’s sound for imitation as well as a wonderful selection of children’s music. Count the Cows–literally, count the cows…or sheep…or goats…or whatever animal you choose. Play Taboo–Choose a word that no one can say and then try to get everyone else to say that word before you do. Twenty Questions–Think of an object and have other family members ask yes or no questions to try and guess the object. Vowel Race–Each player chooses one vowel and then begins the search to find their letter outside the vehicle. First one to find ten of their vowels wins. Guessing Game–Have one person ask a question as it relates to your location (i.e. “how many telephone poles will we pass in the next minute?) and everyone give a guess. Then everyone count the telephone poles together to see who was closest. A to Z Games–Use the beginning phrase “I went to the store and bought…” or “I went to grandma’s house and took with me a…” add an item beginning with the next alphabet letter. License Plate Alphabet–Together see if you can find the alphabet letters in order on passing license plates. License Plate Counting–Like License Plate Alphabet only counting in order to 100. Pairs–An adult says an object such as “Peanut Butter” and the children are to come up with the pair (i.e. “jelly”). Color Game–Pick a color and have everyone find something outside the car that is that color. Want more ideas? Check out the book Fun on the Run: Travel Games and Songs by Joanna Cole and Stephanie Calmenson for even more fun “on the run” ideas. Seven: Don’t Forget All That Other Stuff! Consider purchasing car-seat appropriate travel trays. We really liked the look and stability of the Taby Tray but when we realized that it had no give should we get into an accident we opted for the cheaper Star Kids Snack and Play Travel Tray which is supposedly safer thanks to its soft foam reinforcement. Consider bringing a blow up toddler bed and/or sleeping bag for the hotels. Your travel notebook with all your maps, destination and parking information, phone numbers, coupons, tickets, brochures, etc. For even more ideas you may want to check out this one bag checklist which I found very handy when making my mega-trip packing checklist. And for tips on how to organize your car for the trip, you may want to check out my guide to creating a family friendly and equipped vehicle. Remember that taking that perfect picture or visiting every important spot is not nearly as important to your preschoolers as the joy that comes from spending time together. So yes, put away those cell phones as much as possible and have fun just being together in all you do. It’s what your preschoolers will remember most. It’s is wonderful! I wish I had this advice when my kiddos were little! I’ll pass it on to my children for their families. Thank you, this could not have come at a better time. We are moving out of state in 2 weeks and I will be traveling with my 3 year old for 10 hours. Question: In your option, is it better to travel at night or day for long trips? Thank you for your creativity and thoughtfulness. LOL. I think it depends on your family and what works best for you. Many say they would rather travel at night and let the kids sleep but personally I like my sleep too and my husband is always in a better mood when on a regular sleep schedule so we stick with daytime travel. Besides, kids like their regular routines too. Yes, it means more activities for us but at least we have good (or better) sleep to deal with the rough times. Hope that helps. Have fun moving! Glad you like them and thanks for sharing some air travel tips too! Have fun traveling! But one thing that we don’t have to worry about anymore is keeping the kids busy on our trip. It’s crazy how road trips have changed from when I was a kid! Holy cow! My parents never went out of state, we usually just stuck within a 1-2 hour radius from our house and I still remember being BORED to tears! Our kids are spoiled, but they’ve also been across so much more territory than I ever did as a child. We’ve driven from California to Alaska. From Alaska to Ohio and from Ohio to Utah (twice) on top of trips to Niagara Falls, Pennsylvania, etc. So I guess a bit of extra effort is required since we drag our kids all over the country! With a portable DVD player, books on tape, a new DS (ugh…yes, we caved and finally let our children get one to share on the trip), toys, new chapter books, and these new travel binders that I made, I think they will have fun! What an awesome post! Such fantastic ideas for Summer Travels! I would love for you to join our Summer Bucket List Link Party I am hosting with three other bloggers! Thanks for the invite. I’ll be sure to check it out! Thanks for joining the Party! Keep those ideas coming! We’ll be partying through June! Fun. Thanks again for the invite. Wow, what an amazing collection of ideas! My twins are 3 years old and I’m so grateful for other bloggers and their ideas. It’s made travel a lot easier. Thanks! I have three kids and have traveled quite a bit with them. I have been looking for some more ideas for our next big trip and I got some new ones from this blog. Thank you! Great tips! We make a one way six hour drive every month to grandma and grandpa’s.. I leave when my hubby goes to work 4 AM.. Lots of coffee for me, but ensures the kids sleep at least half way. 🙂 I also found I don’t like to bring fresh foods because something will inevitibly fall in a crack and be forgotten about and mold…well..I don’t want to go there. We usually just do a bucket of toys each that they pick out before we leave home. Pick up toys every time we stop for potty or feed the baby, which leaving that early is usually only once. But it has got them used to travelling and makes other trips easier. So glad to hear it. Have fun traveling!